Fluorometers There are 2 products. 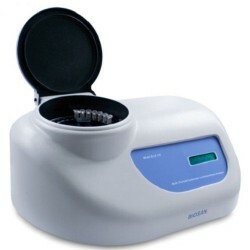 The ALA-1/4 is a multi channel rotor type fluorescence detector that allows detection of the fluorophores lights emission in the reaction mixes with a closed-tube method immediately after PCR. 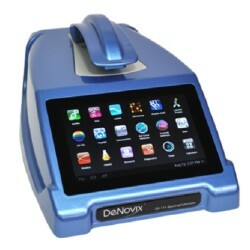 The Most Sensitive UV-Vis and Fluorescence Quantification Combined!DeNovix is a global leader in the development of microvolume UV-Vis and fluorescence-based instruments. The DS-11 Series offers the most sensitive and reproducible 1µL absorbance measurements available, delivered with confidence by our patented* design and SmartPath® Technology.